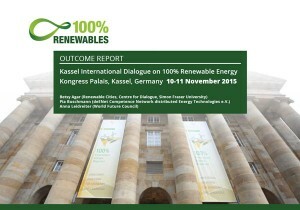 We’re proud to announce the release of two new reports from dialogues held at COP21 in Paris and in Kassel, Germany. The purpose of these reports is to share the knowledge and ideas generated from the participants at our two events. 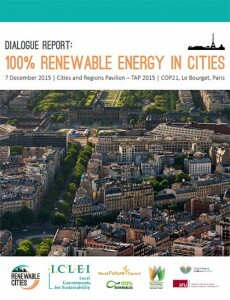 This information contributes to a body of knowledge towards the implementation of 100% renewable energy in cities. It is our hope that other cities may learn from these experiences and inform best practices towards ambitious renewable energy targets. This dialogue was co-convened with our partners, ICLEI and the World Future Council, at COP21 in Paris on December 7, 2015. Many city and regional governments have either adopted or are actively exploring a 100% renewable energy (RE) target of some form. The purpose of this dialogue was to examine the challenges that cities and regions are facing in setting a 100% RE target and discussed which policies are yielding the best results. Download report (PDF) or see the dialogue page for more information. 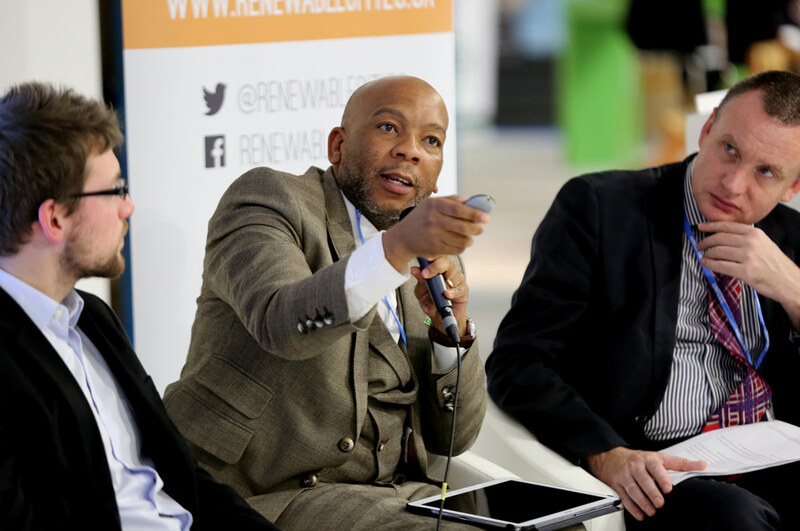 This dialogue was co-convened with the World Future Council and deENet, as part of Germany’s annual 100% Renewable Energy Regions Congress, and hosted by the German Environment Ministry (UBA). Its purpose was: to develop an international understanding of what it means for local governments to go to 100% renewable energy; to feature the work of leading cities; and for participants from 17 countries and four continents to share their best practices.